Welcome to the Open Road Test! Developers like you are realizing record-breaking performance on OpenPOWER! From High Performance Computing to Big Data & Analytics and emerging Cognitive applications using Machine Learning & Deep Learning, port your code or build from the ground-up and see how fast you can go with POWER8! Need more speed? Go even further to harness the processing power of GPUs or CAPI-attached accelerators. We'll give you the tools and all the expert-help you need to get started, unleash your creativity, and race to the finish! HPC applications from Computational Fluid Dynamics (CFD) to Genomics have a lot to gain from the high-throughput processing capabilities of POWER8 and accelerators. If you're already working on something in these fields, port it over and put it to the Open Road test! If you're ready for a brand new project, you could try working with publically available HPC source codes such as LANCELOT or ABINIT. Wrangling enterprise data? ISVs have realized massive speedups on database applications including NoSQL, Neo4j and GPUdb, and the POWER8 processor’s memory bandwidth is a dream for developing on new analytics frameworks like Apache Spark. Whether HPC or Enterprise, developers are integrating Machine and Deep Learning to give applications a cognitive boost. Caffe, Torch and Theano are already blazing on OpenPOWER. What will you build? How fast can you go? Check out our Resources Page to get started! 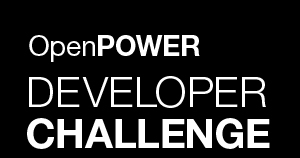 Community Impact - The judges will be looking at how widely your solution could be made available and adopted on OpenPOWER. Use of OpenPOWER Technologies - How well does your solution leverage the technologies available in the OpenPOWER ecosystem, like 8-way multithreading on POWER8, or accelerator offload via GPU or CAPI-attached accelerators? Technical Achievement - The judges will consider the quality of your code and implementation, as well as the extent to which you can demonstrate a performance gain from tuning and optimization. Check back frequently for updates on the parameters of the Open Road Test.